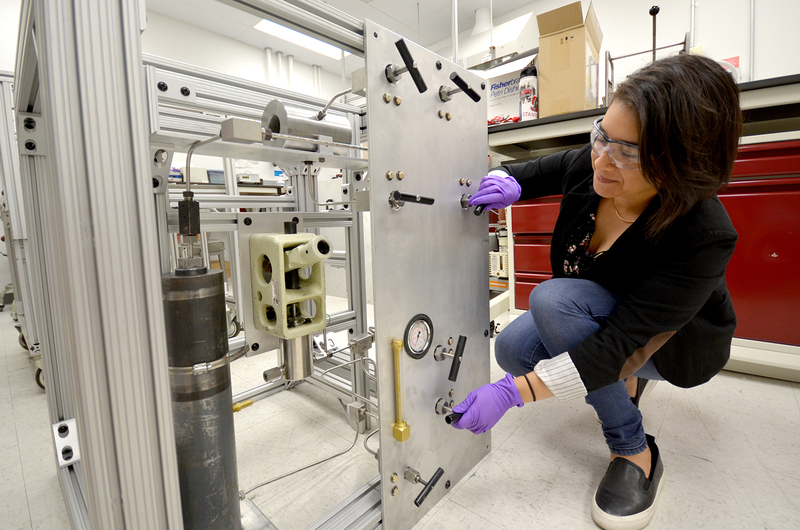 Kathy Vega went from teaching STEM to doing it first-hand. 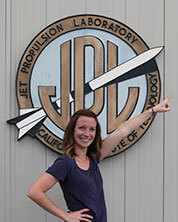 Now, as an intern at NASA’s Jet Propulsion Laboratory, she's building an experiment to simulate ocean worlds. 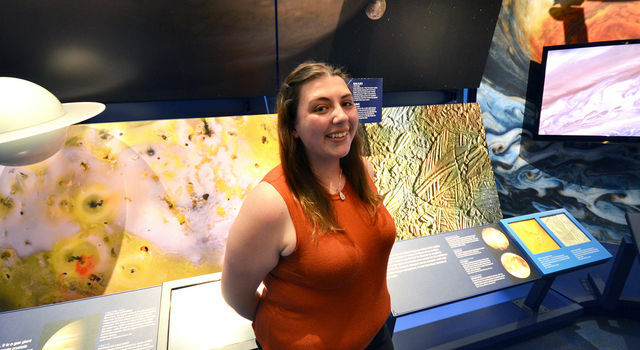 We recently caught up with Vega, a University of Colorado at Boulder engineering physics major, to find out what inspired her to switch careers and how her project is furthering the search for life beyond Earth. In our solar system, there are these icy worlds. Most of them are moons around large gas planets. For example, Europa is an icy moon that orbits Jupiter. There's also Titan and Enceladus orbiting Saturn. 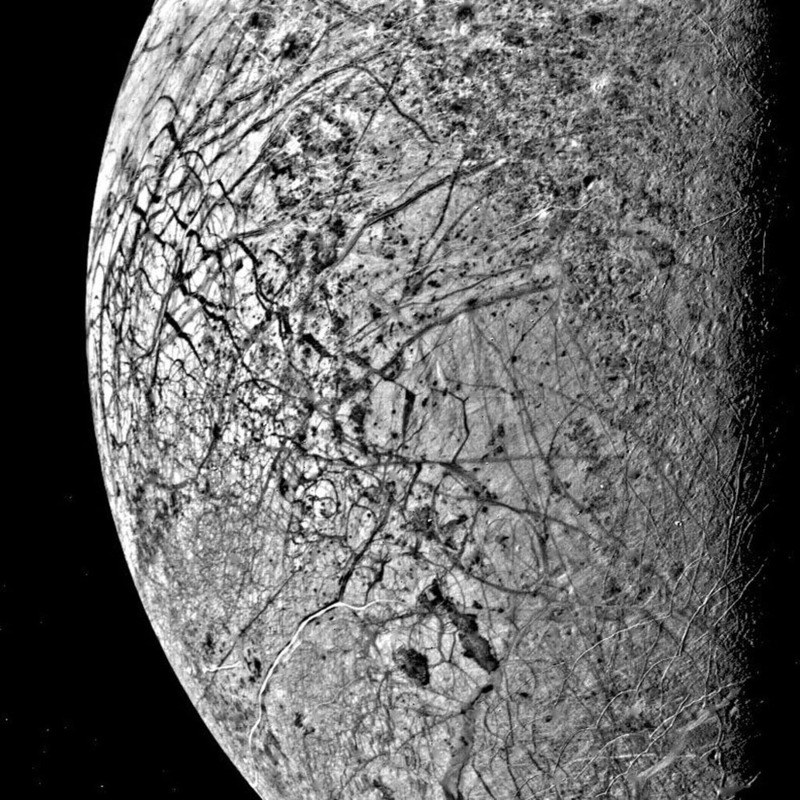 From prior missions, such as Galileo and Cassini, we've been able to see that these moons are covered with ice and most likely harbor oceans below that ice, which makes us wonder if these places are habitable for life. My project is supporting the setup of an experiment to simulate possible ocean compositions that would exist on these worlds under different temperatures and different pressures. Working in collaboration with J. Michael Brown’s group at the University of Washington in Seattle, this experiment is helping create a library of measurements that have not been collected before. Eventually, it may help us prepare for the development of landers to go to Europa, Enceladus and Titan and collect seismic measurements that we can compare to our simulated ones. Right now, I'm in experiment-design mode. I've been ordering parts for the experiment and speaking with engineering companies. This experiment is already being run at UW in Seattle, but we're attempting to run it at colder temperatures to do a wider range of simulations, which haven’t been done before and will be particularly relevant to Jupiter’s moon Ganymede and Saturn’s moon Titan. 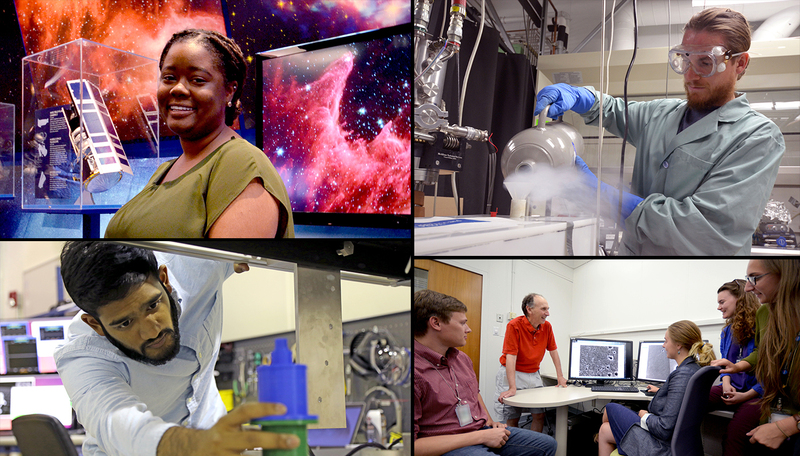 I've been working with another intern, and we've been meeting with cryogenic specialists and experiment-design specialists at JPL to design a way to make our current experiment reach colder temperatures. I also run a lot of simulations with Matlab software. 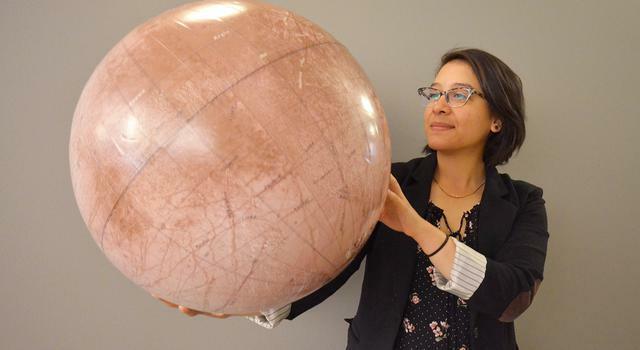 There's a model that my principal investigator developed called Planet Profile that allows the user to input different temperature ranges and composition profiles for a planetary body. It then outputs the density and sound-velocity measurements that we would expect in that environment. The Europa Clipper mission, [which will orbit Jupiter’s moon Europa to learn more about it and prepare for a future lander], is in development right now. 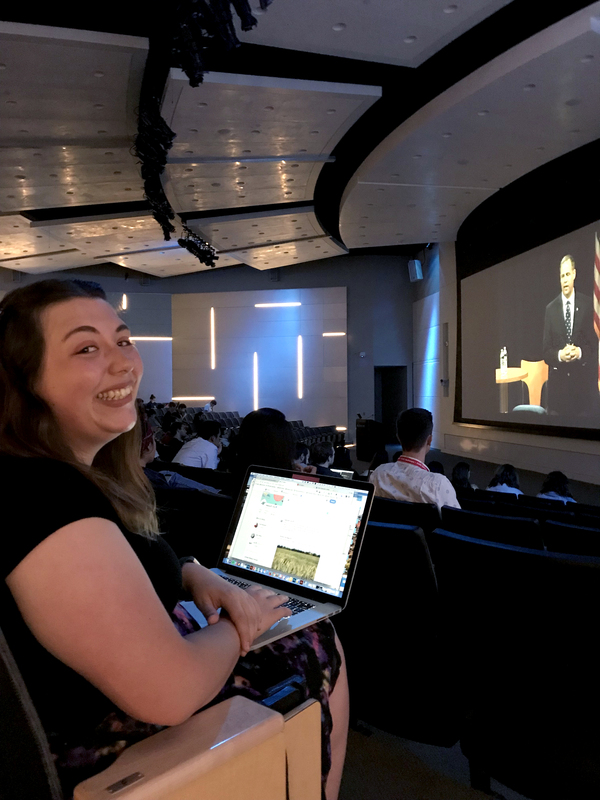 A major planning meeting for the mission was held at JPL, and I got to sit in and watch these world-renowned scientists, who I think are like rock stars, talk science. There were all of these people having an open-forum discussion and, gosh, it was so cool. I felt like I was there with the people who are planning the future. You already have a degree in political science. What made you want to go back to school for STEM? When I was in high school, I was in Mathletes, but I was also in Mock Trial. I took AP physics, AP chemistry, AP calculus, but also AP civics and AP history. I remember in my junior year, I thought, I love math. Maybe I could be an astronaut one day. Space is so cool. Then AP physics happened. I didn't fail or anything, but after that, I just felt like maybe it's not for me. There were also a lot of critical things happening with politics around that time. Immigration was a really hot topic and walkouts were happening at L.A high schools. My family is from El Salvador, and I'm a first-generation college student, so I felt very motivated to study political science and be involved in issues that were happening first-hand in the world and affected my family and people I knew. So I went to Berkeley and got a degree in political science. After that, I really wanted to get involved with service and just make a difference in the world, so I joined Teach for America. I taught math and I started a robotics club. It was through the robotics club and teaching my students about space and engineering that I really got excited again. I started pressing my siblings and my cousins to go into science. And one day, one of my cousins said, "If space is so cool, Kathy, why aren't you studying it?" I realized, yeah, what happened to that? I really loved that. So I decided to take classes at a local community college and did well. And now I’m at the University of Colorado at Boulder getting a second degree in engineering physics. Do you ever feel pulled back in the direction of politics? No [laughs]. Politics is a messy ordeal. I do my part as a citizen, but I like to think that thinking toward the future in science is where my efforts are best used right now. How do you feel your background in political science has served you in engineering? Going into engineering and science, I was very conscious of the fact that women and especially women of color are underrepresented in these fields. I think that having the background in political science, having the experiences working with communities gives me the ability to have thoughtful conversations with people about diversity. With this experiment, I've been able to leverage my creative side. I feel like I'm laying the foundation for these missions to explore other moons and worlds. There’s a star called Vega, and it might have its own planetary system. It's so far that we have no idea what's in that potential system or if there could be terrestrial planets. I'd want to explore that.